I know, I know…two posts in one day?! My apologies; that wasn’t the plan. This should have been posted several days ago, at the same time as I posted it on Reddit’s /r/Gallifrey subreddit. It’s not crucial to anything else going on, just an interesting read; you can feel free to skip it if you like, although it has some interesting backstory for Doctor Who which gives a different take from the television series. If that interests you, read on! We’re back, with…something different? Due to unforeseen circumstances, I will most likely not be able to post my review of the second Big Finish Main Range audio, Phantasmagoria, this week as promised. 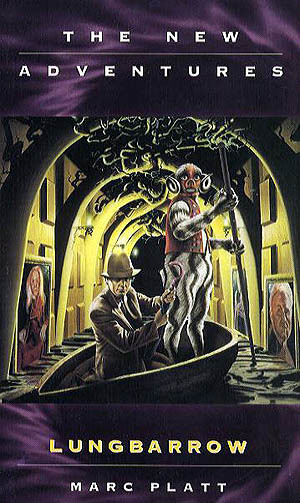 I should be back on track by next week; but in the meantime, here’s a review of a very controversial Doctor Who novel, Marc Platt’s Lungbarrow. Let’s get started! Spoilers ahead for anyone who has not read the book! 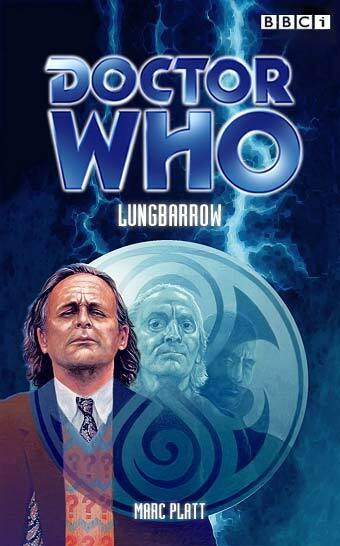 Lungbarrow is the next-to-last novel of the “Virgin New Adventures” series of novels, which mostly concerned the Seventh Doctor. (Technically it’s third-from-last, as So Vile A Sin was delayed, but the internal order of the stories places this one next-to-last. As well, it’s the last to involve the Seventh Doctor; the final novel, The Dying Days, involved the Eighth Doctor.) It’s a series that sought to continue where the classic television series left off, and it did so admirably, totaling sixty-one entries, far more than the Seventh Doctor ever received onscreen. By the time of its completion, the 1996 TV movie had actually already been released and considered canon, and the last few novels–Lungbarrow and The Dying Days–were written with the lead-up to the Eighth Doctor in mind. Lungbarrow, in particular, ends with a setup that directly references the opening events of the movie. Despite all of this, the novel series doesn’t exactly fit with everything referenced in the television series, either classic or revived (or, for that matter, with other lines of books); Steven Moffatt has described them as “a separate (and equally valid) continuity” to the television series. [The parenthesis is his, not mine.] The New Adventures series would continue after the expiration of Virgin’s license, but would focus on the non-BBC-owned Bernice Summerfield rather than the Doctor; for my purposes, though, I’m only counting the novels concerned with the Doctor. It would take a very long time to explain the backdrop of the novel, and I want to keep this readably short. Suffice it to say that the story is set mostly on a Gallifrey where Romana (II, if we’re keeping count) is Lord (Lady?) President; Andred has become Castellan, and therefore head of the Chancellery Guard; Leela, as Andred’s wife, occupies a not-quite defined position that does not sit well with her; there are not one, but two K9s (Leela’s Mk. I and Romana’s Mk. II); and the Celestial Intervention Agency (CIA) is active in a major way. (That agency is a source of great fascination to me, as I am new to the novels; it seems to appear in many places there, but was almost totally unknown on television, netting only a single unilluminated reference in The Deadly Assassin.) It is into all of this that the Doctor, his current companion Chris Cwej, and former companion Ace (here preferring to be called Dorothée) wander. I called this book controversial; “notorious” might be a better term. It was conceived during the writing of the television serial Ghost Light, written also by Marc Platt. That serial’s mysterious mansion in Perivale would have been the house of Lungbarrow on Gallifrey, had Platt not been advised to bring the story back to Earth. Lungbarrow recycles many of the elements that went into that original script effort, but the finished product is very different. Further, it’s essentially the last bastion of the Cartmel Masterplan, Andrew Cartmel’s ill-fated effort to breathe new life into Doctor Who by changing its backstory. While I think that’s perfectly fine for a novel, it did cause much debate among fans for years. This novel is perhaps the only full expression of where that plan might have gone. In that version of Doctor Who lore, the ancient Pythia—the women who once ruled Gallifrey before Rassilon—were vanquished; their remnants would become the Sisterhood of Karn. That much is also common to the television series. However, the Pythia (singular this time, indicating their leader), before dying, cursed Gallifrey with infertility. No children would be born to the Time Lords. (Of course, this has since been discarded onscreen; The Day of the Doctor makes a point of the billions of children on Gallifrey.) In response, Rassilon, Omega, and a mysterious third founding father known as the Other, created the Looms—machines that would remix and recycle Gallifreyan DNA and give birth to new Time Lords. Those so born would arrive fully grown, but with childlike minds. The Looms, like much Time Lord technology, are sentient, after a fashion. The word “House” has a double meaning here, as was also common in European history. It refers to the families into which Loomed Gallifreyans are born (for want of a better word); those houses are restricted in the number of living members, or “Cousins”, they may have, as a means of population management. However, the word also refers to the literal house, the mansion owned and operated by the House of Lungbarrow. The physical house is also sentient, sort of; it definitely has a will and mind of its own, although it is telepathically linked with its Housekeeper, the female family member chosen to maintain and govern the house. Further, all of its outsized furnishings, as well as its artificial servants—the wooden Drudges, not to be confused with the robotic Drudgers in some of the audios—are alive, in one way or another, and often unfriendly as well. Lungbarrow’s events are precipitated long ago—673 years ago, to be precise—when the family’s leader, or Kithriarch, is murdered on the day he would have chosen to die anyway. It seems like a minor matter, except that he died before revealing his last will and testament, which would have named his successor; oh, yes, and there’s also the small matter of his having been murdered by the First Doctor. In reaction to this awful betrayal within the family’s ranks, the house—that is, the physical house—takes drastic action: It buries itself with all forty-plus cousins inside. All, that is, except the Doctor, who has taken off to begin his life of adventures in his stolen TARDIS. Over the intervening centuries, the house slowly degrades, and so do its occupants; they become the darkest soap opera imaginable, so to speak. The story can be a bit awkward, because it’s going in two directions at once. On the one hand—the stronger hand, in my opinion—it’s a mostly straightforward mystery. Did the Doctor, so long ago, really murder the Kithriarch Quences? Where is his missing will? What’s up with the rivalry between the Doctor and his Cousin Glospin? What about Cousin Owis, who legally shouldn’t exist (as he was Loomed to replace the disowned Doctor, but before the Doctor’s death)? Why is the house underground, and how can it be saved? (Spoiler: It can’t.) And what about Glospin’s obsession with the Doctor’s DNA and origins? More on that last in a bit. At the same time as all of this, it’s a political intrigue; behind the scenes, Romana is conducting secret diplomatic dealings offworld, and facing a coup attempt by the CIA. Those scenes are awkward, and don’t seem to fit well; in the end, all the characters involved there serve mainly to give the Doctor some backup at the house. The mystery is the main attraction here, and it makes you question everything you know about Time Lords, from Looms to TARDISes to regenerations. But, the Cartmel plan would have done more than just establish the existence of Looms. Its greater focus, judging by the references that made their way into the final seasons of the classic series, were with regard to the Doctor’s identity. While this novel goes to great lengths—and some dialogue gymnastics—to avoid saying the Doctor’s actual name aloud, it does make it clear that the Doctor is something more than just a Time Lord of the House of Lungbarrow. He is the Other, reincarnate. Glospin suspected it, and indeed, it’s almost completely confirmed. We see that the Other killed himself by leaping into the master Loom which feeds all the others; that the Hand of Omega had in the past attached itself to the Other, and in the more recent past to the Doctor (consistent with Remembrance of the Daleks); that the Doctor’s DNA doesn’t match Lungbarrow’s imprint; and that Susan is not actually the Doctor’s granddaughter, but the Other’s, from the Old Times. Susan joins the Doctor on his very first TARDIS flight when the Hand of Omega defeats the barriers and takes the TARDIS into Gallifrey’s past—but what is more, she recognizes him as her grandfather, though his face has changed. I won’t spoil the resolution. While the book is hard to come by (due to a combination of high demand and a small, non-repeated print run), it’s a great read if you can get it. However, I will say that it neatly wraps up all the threads it spins out, and yet somehow manages to avoid feeling too convenient. It sets up nicely for the movie—not too difficult a task, given the movie was already out at the time of writing—and also ties in nicely with many other stories, both televised and written. It has the feeling of a hinge between two realities—that of the generally-accepted canon of Doctor Who (such as it is), and that of the Cartmel plan. It’s a bit like the Big Finish Doctor Who Unbound dramas; It’s a great window into what could have been; and with it behind me, I have to say, the alternate lore isn’t so bad. Certainly I like the version we have onscreen, but this alternate view is pretty interesting as well. Altogether, it’s a good read, and I enjoyed it. Perhaps it’s backward, reading this book before any of the preceding New Adventures novels, but I wanted to get an idea of the outcome of the Cartmel plan, having just finished the Seventh Doctor’s television stories. I was not disappointed, and I think others would agree. If you can come by a copy, it’s worth checking out. Next time (hopefully): Phantasmagoria! See you there. Lungbarrow unfortunately was unable to receive further print runs due to the expiration of the publisher’s license to the characters. Therefore print copies are expensive and rare. A free ebook was issued by the BBC, but has since been removed from their site. However, an archived version is available here via the internet archive. ← The War Is Over: New Doctor Who Rewatch, Series One, Part One.